Review: A man gets pulled out of the Mediterranean by an Italian fisherman. While he is recovering he suffers with amnesia. He can’t remember his own identity or background. As the film unfolds he finds out more about the truth of his past and who he really is. This is a remake of a 1988 TV movie. Based on a book by Robert Ludlum. 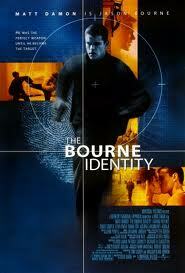 While this was in postproduction Robert Ludlum passed away and sadly did not see the finished product. Brilliant action movie. This is the first film in the UK that has a “12A” certificate. Brad Pitt was offered the role of Jason Bourne but turned it down. One film critic wrote ‘A suspenseful thriller that showcases stunning visuals, great acting and a story that will keep you entertained from start to finish’.